Beautiful shapes inspired by the amazing peacock feathers. Revel in the delicate beauty of the body made into a jewel. 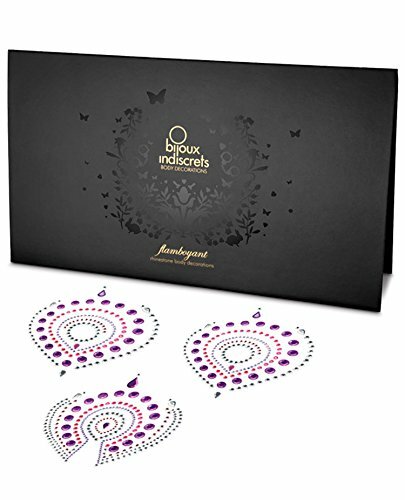 These ornaments can be worn with the finest lingerie and the self-adhesive silicone base to which they are attached make them very easy to apply. Color: Pink/Purple. 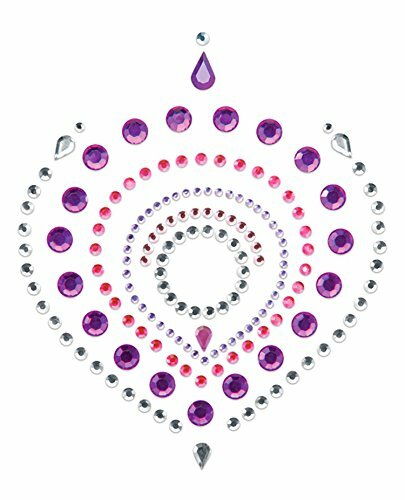 Content: self-adhesive jeweled body decorations. From Bijoux Indiscrets.